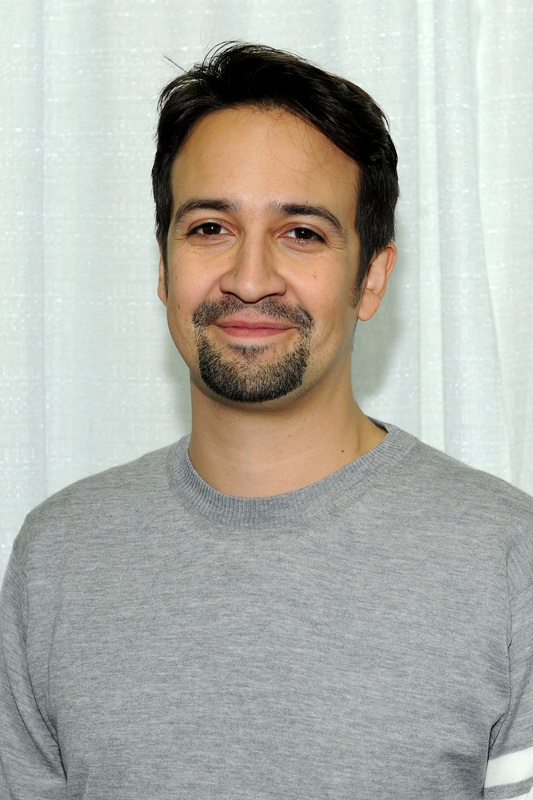 If there's any celebrity who knows the importance of voting and the messiness of politics, it's Lin-Manuel Miranda. You know, the dude who spent a better part of the last decade studying up on the nation's earliest elections to understand the ins and outs enough to write a play full of raps about it? So, when Miranda talks about voting, I lean in to listen. In a Q&A session on his Twitter, Miranda answered questions about voting in regards to himself and the Hamilton cast at large — and his answers strike a particularly Hamiltonian chord. Being that it's the — in Miranda's terminology — "day of the show, y'all!" fans inquired about the election, and straight up asked the composer, actor, singer, and jack-of-all-trades if he voted before heading off to London. He answered definitively and proudly, giving away some especially specific information. "Yup. Absentee ballot. #ImWithHer," he tweeted. Sure, Miranda volunteering the fact that he voted for Hillary Clinton isn't exactly shocking after he held that Hamilton fundraiser for her, but that's not even the voting tweet that's the most poignant. It was his second answer to an Election Day question that spoke to his deep knowledge of the United States' political imperfections since the very start. Another follower asked him, "Is everyone in the Hamilton cast voting for Hillary?" And he astutely replied, "I dunno. Not my business. But I'm very proud they're all voting." If anyone knows how hard but vital it is to choose, it's the man who embodied Hamilton himself; the person who studied the controversial election of 1800, where it came down to a Jefferson and Burr Electoral College tie. The tweet doesn't really appear to be about Clinton or Trump or a third party candidate, but more of an acknowledgement that this election is important overall. That "history has its eyes on [us]" and that a lot of people are finding themselves in Hamilton's reluctant shoes. When it came down to it, A. Ham championed Thomas Jefferson, his rival, over his frenemy, Aaron Burr, because, as Miranda put it in the play, "I have never agreed with Jefferson once. We have fought on like 75 different fronts. But when all is said and all is done. Jefferson has beliefs, Burr has none." In an election where many people feel that their choices are stymied, Hamilton presents an eerily relatable situation.